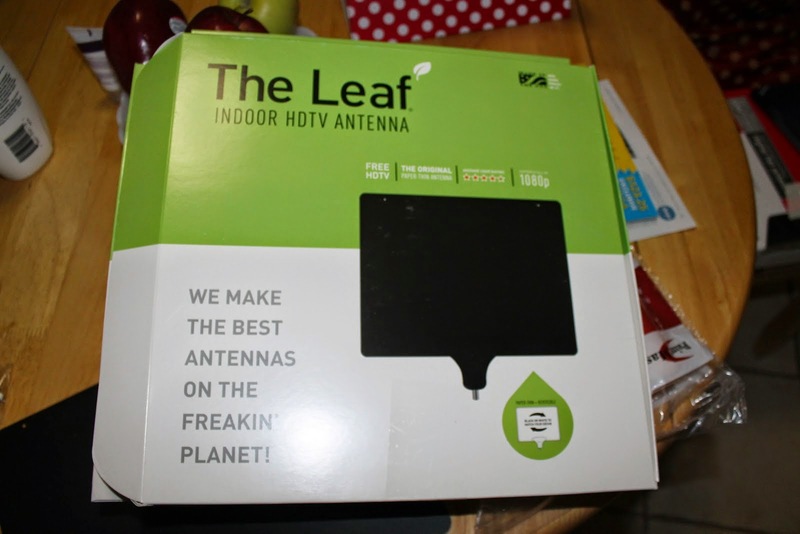 Remember the Mohu leaf antenna I purchased and returned back in 2013? It pulled in the exact same channels as my original RCA antenna from 2011 so wasn't worth paying extra for. The folks at Mohu saw my review last week and were nice enough to send a new antenna for me to try out. Don't be overtly impressed - tons of places in North NJ have views of the NY skyline if you know where to look. The contents were very similar. The antenna looks identical (although its been 1 1/2 years since I last held one) and they still use that white connection cable. Props for branding the cable but honestly Mohu - most of us have open tv stands and nothing is more distracting than a white cable. Camouflage is good. The Mohu also brought an antenna amplifier which can be plugged into the wall or a tv's usb port. My tv has an unpowered usb port which is used to provide diagnostics so I'd have to plug it into a jack. My old RCA has the same setup but the amplifier only pulled in extra asian game show channels so I never use it. First the control group - trusty old RCA. I just realized this angle makes the antenna look as large as the tv! Call it sitting on the bed laziness. Sixty channels isn't bad. I had 39 in 2011 at my old-old apartment and 41 in 2013 at my old apartment. Remember how often I used to move? Its nice to have a Forever Home. Channel 11 is one of the channels, by the way! Next up the Mohu. The RCA antenna's wire is permanently attached but the Mohu's has to be screwed in. Its nice to have the option of buying a shorter/longer cable or a regular black cable if you dislike the white. I don't know why the coax cable doesn't fully screw into the base. While I doubt this will lead to electrocution I have watched a lot of Wile E. Coyote and hate seeing exposed metal. I put the Mohu in the same spot and used the mini blinds to hold it up. Channel 11, check. 69 channels! A full nine channels more than the RCA. Time to test the amplifier. Like I said, the RCA also came with an amplifier but didn't improve the signal in my last two apartments so I didn't bother digging it out to compare this time. Same set-up but this time the amplifier is linked between the antenna and the coax cable with another cable running down to be plugged in (off-camera but trust me, it is there). 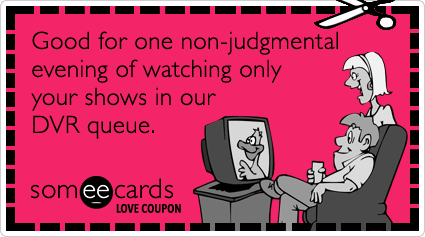 Only 48 channels this time. I guess amplifiers aren't meant for my area because I've tried them at three separate homes and every time adding an amplifier results in fewer channels. Verdict: The Mohu leaf yielded better results with nine more channels than the RCA. The RCA is $39 on Amazon and the Mohu is $70. Still if one of those nine channels is one you're interested in the higher price tag is worth it. For example - in my old home I was interested in channel 11. If the more expensive Mohu had retrieved that signal I would have definitely purchased it. Picture quality remains amazing with antennas. I had the flash on and was pretty close to the tv so these aren't the best photos but trust me - the quality is full HD. The only minor antenna annoyance is channels are set up in decimals. If I want to watch channel 11 I punch in 11, then push up to 11.1. Plain old 11 is a blank screen. The reason for this is rather clever: "With digital encoding a normal TV channel does not always occupy the full 6 mhz bandwidth that the old analog channel did, so stations can add sub-channels." Source. If you consider those channels extra-free bonuses its much easier to overlook the extra button pushing - or just set pre-set channel favorites on your remote. Full disclosure: we have cable on our main tv in the living room (these pics were upstairs). My husband and I enjoy watching DVR'ed shows together and he likes sports channels but honestly? We have cable because of the dvr. I think the only cable shows we watch are Storage Wars and Thrift Hunters. So if you're trying to cut costs and have an HD tv its worth trying one out - the picture quality really is identical.